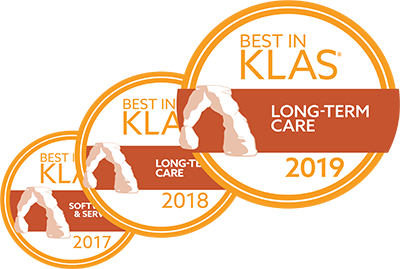 BLOOMINGTON, MN – MatrixCare®, the largest long-term, post-acute care (LTPAC) technology provider in the United States and perennial winner of the coveted Best in KLAS award for Long-Term Care software, has been selected as Pegasus Senior Living’s enterprise EHR platform partner. This adoption includes the comprehensive suite of MatrixCare Senior Living products including operations, EHR, and analytics. Currently undergoing a rapid installation, many Pegasus Senior Living facilities will have fully implemented MatrixCare technology by year-end, with the remainder to be added during Q1-2019. Pegasus Senior Living, headquartered in Dallas, Texas, is a newly established business that will serve as the operator of 36 former Brookdale communities. Pegasus’ principals and industry veterans Steven Vick and Chris Hollister each have more than 25 years of experience in the senior housing space with an established track record of turning around communities located in secondary markets. “Pegasus understands that operational efficiencies and clinical performance metrics are critical to remaining competitive in the senior living space,” said John Damgaard, president and CEO of MatrixCare. “As more operators understand the importance of these factors, we believe that upgrading to MatrixCare will become the logical choice for those who want to drive their business forward. Pegasus joins the growing list of senior living and LTPAC providers upgrading to MatrixCare to take advantage of better interoperability, better ease of use, better analytics, better service, better long-term vendor stability, and better outcomes performance.